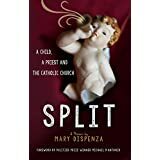 Sunday June, 28th I was at Island Books, in the beautiful village of Mercer Island, Washington, to read some selections from my memoir, SPLIT: A child, a priest and the Catholic Church. At my readings, I always spend some time talking about the issues survivors face. The last few months gave us lots to talk about. This time I also offered something new: the chance to win a copy of the book. And as they say, if you don’t enter, you can’t win. We drew the name of one lucky reader who went home with a freshly signed copy. Unfortunately my photographer was having such a good time chatting that she forgot to take pictures! A big thank you to all who attended. I had a lot of fun reading my story and talking with you about the issues. And thank you Island Books, my favorite indie bookstore, for the warm reception and for creating such a fun event. Check out Island Books for yourself, you won’t find a friendlier or more helpful bookstore anywhere. There will be more such readings. Check the events page for what’s coming up.